Want to a new rock tip? Listen to the music of Legião Urbana. 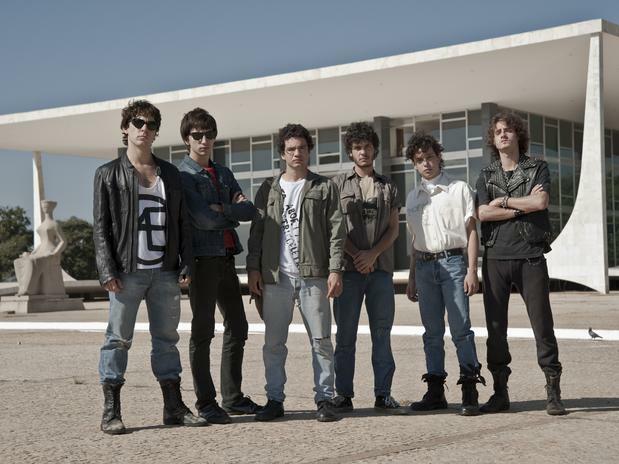 The new film Somos Tão Jovens (We Are So Young) tells the story of Renato Russo, famed singer of Brazilian punk/rock band Legião Urbana. Russo's music chronicled the angst of bourgeois Brasilia right before the Brazilian dictatorship fell in the mid 80's. Russo sang about the upper middle class working for the feds, and wrote about conformity, consumerism, and silence. He wrote songs like Tedio - Com Um T Bem Grande Pra Voce (Tedium - with a Big T for You). Somos Tao Jovens is generally surprising. For starters, it's been the best-selling movie in Brazil this year, and its subject is a bisexual emo-hero who died, tragically, of AIDS. To top that, the Brazilian government is the film's top financier. Russo is a rock hero, the identity politics curiously notwithstanding. And that's because his music is so incredible. Russo's music has the lush, larger-than-life belts of Queen, Depeche Mode, Los Hombres G, or maybe even Jaguares. That late 80's love letter yell, with a very natively Brazilian, home-spun punk feel. Great art transcends borders, and Renato's coca-cola generation is also ours. Certo?